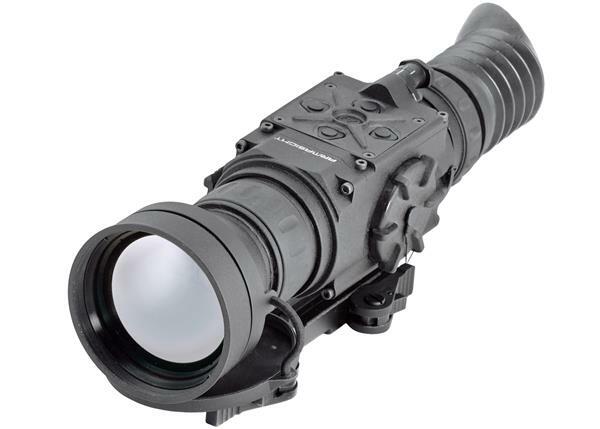 This unit has a 320×240 Focal Plane Array and a 17 Micron pixel size gives this rifle scope very high resolution in a 60 Hertz FLIR vanadium oxide detector. 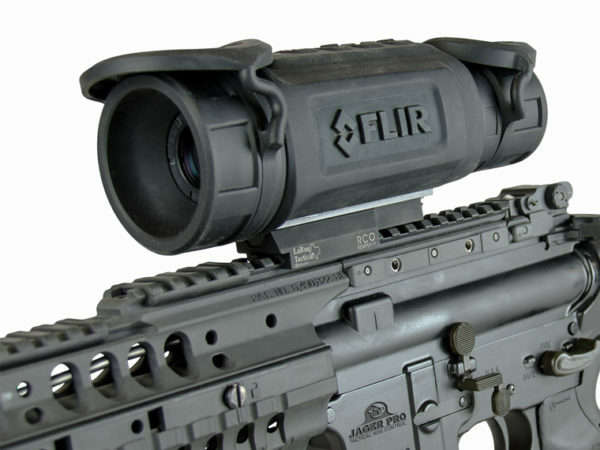 The RS32 (35mm) optimizes images automatically using FLIR’s own advanced image correction technology while sporting a see-through rubberized eyecup providing three inches of eye relief, a 4X digital zoom and multiple reticle options. 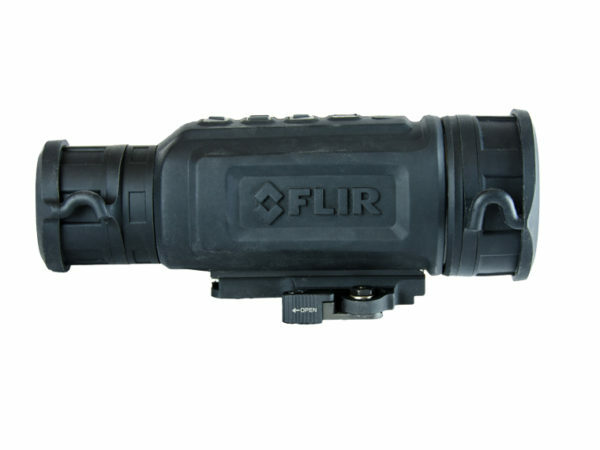 This unit has a 320×240 Focal Plane Array and a 17 Micron pixel size gives this rifle scope very high resolution in a 60 Hertz FLIR vanadium oxide detector. 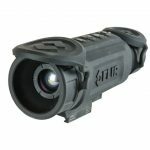 The RS32 (35mm) optimizes images automatically using FLIR’s own advanced image correction technology while sporting a see-through rubberized eyecup providing three inches of eye relief, a 4X digital zoom and multiple reticle options. 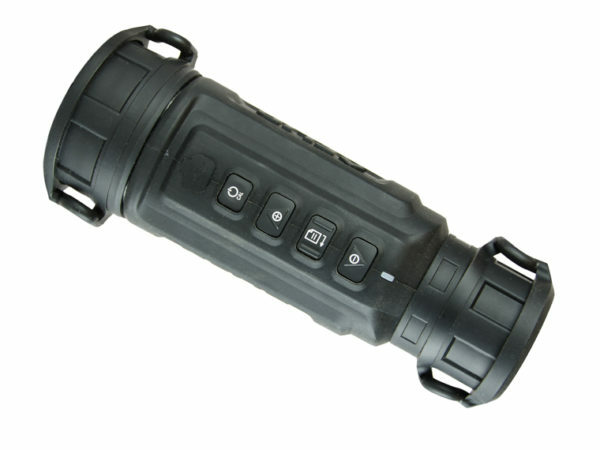 The RS32 was built to perform under extreme conditions. 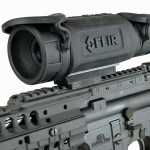 An internal shock reduction system allows recoil from a semi-automatic Modern Sporting Rifle platform up to .30 caliber. 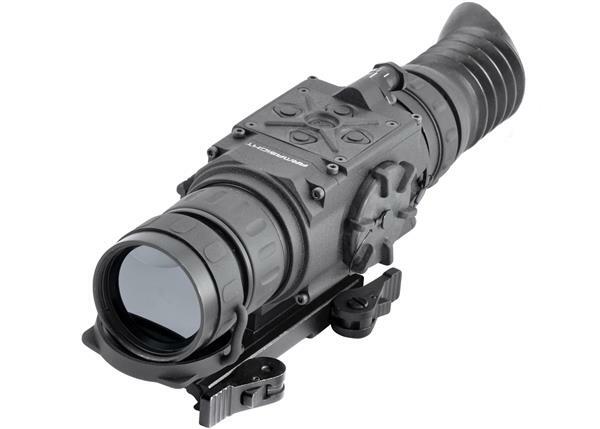 It sports a Military Standard 1913, LaRue Tactical, quick-detach mounting system. 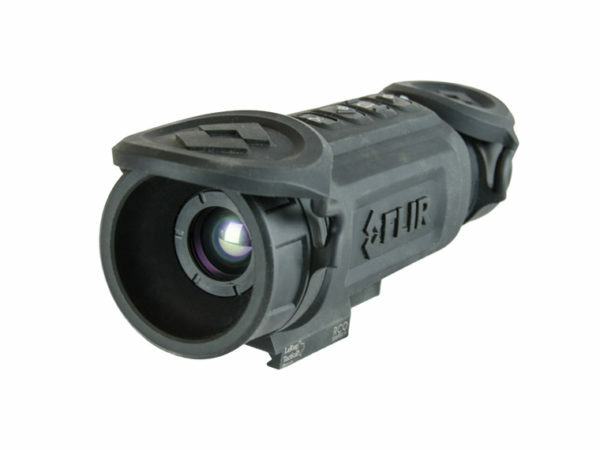 The housing sits very low, less than one inch from the Picatinny Rail making this a very accurate, flat shooting thermal rifle scope. 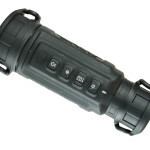 The durable, water-resistant casing can be submerged in up to three feet of water. 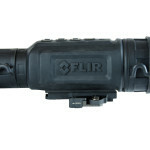 FLIR offers a three-year warranty with registration and a 10-year warranty on the internal sensor.